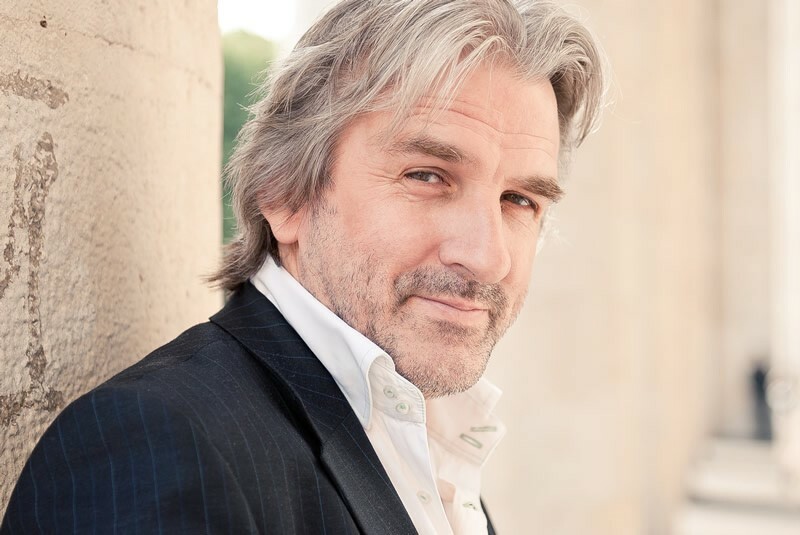 Winner of the Tchaikovsky International Piano Competition in 1986, Barry Douglas has toured the world for the last three decades, bringing distinction and splendour to the wide range of concertos he plays, and taking on innumerable institutional responsibilities as well. That is to be expected from any major competition-winner, but perhaps one of the things which turned out to be closest to the artist’s heart is the founding of his orchestra, the Camerata Ireland, and overseeing his annual Clandeboye Festival, both of which serve as a meeting place for Irish artists in general and young Irish musicians in particular. The festival also allows Douglas’ participation in a wide-ranging series of masterclasses and chamber music performances. The other notable happening for the pianist is the recent recording contract with Chandos Records, which has so far spawned a 6-volume cycle of the complete solo piano music of Brahms, and (in progress) an equally-stimulating traversal of Schubert’s complete piano works. There is also a ‘Celtic Reflections’ disc. We sat down to investigate these developments in detail, as well as the pianist’s current inspirations, as part of his visit to Vancouver in November 2017, where he gave a structurally-cogent and often glowing account of Rachmaninoff’s Second Piano Concerto with conductor Lawrence Renes. Douglas was honoured with the title of ‘Cherniavsky Laureate’ at this appearance with the VSO. He was awarded an OBE in 2002. 1. I KNOW YOU’RE PASSIONATE IN DISCUSSING ALL MATTERS IRELAND, SO LET’S START FROM THE MORE MODEST TOPIC OF YOUR NEW CHANDOS ASSOCIATION. HOW DID IT TRANSPIRE AND HOW DID YOU INITIATE THE BRAHMS AND SCHUBERT PROJECTS? It was really very simple: Ralph Couzens invited me to lunch, and asked me what I would like to record. Not having anything particular in mind, he suggested, ‘Why don’t you do the complete this and that? Give me two names that come to mind.’ And eventually I said ‘Brahms and Schubert.’ So he said, ‘Let’s do it.’ It wasn’t quite as banal as it seems, but after two pleasurable hours of food and wine, it was kind of like that. I feel remarkably fortunate in having met Ralph, and for the wonderful opportunity he gave me. 2. IN RETROSPECT, DO YOU THINK THESE COMPOSERS WERE YOUR RIGHT CHOICES? 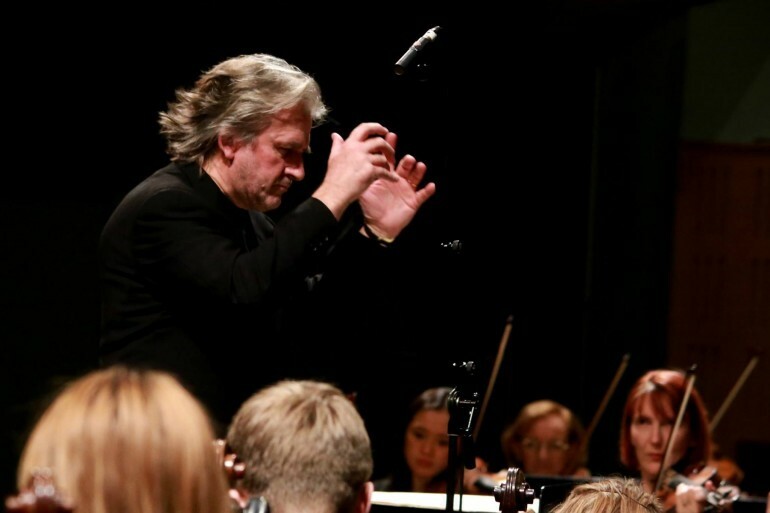 I can’t say all the Brahms was what I preferred, but I’m quite proud that we did it – and I learned a lot. We recorded all the discs on beautiful Steinway pianos in Cambridge at the West Road Concert Hall. I had played about ¾ of the repertoire before but I ended up being fascinated by the more obscure pieces I did on the last disc. This features little tidbits and studies which pay homage to previous composers: I never knew any of these previously. Included were the Gluck ‘Gavotte’ and the Chopin Etude, op. 25, which is single notes in Chopin and where Brahms made it more difficult by putting it in sixths. And the Weber sonata – where he put the right hand in the left, and the left hand in the right. I came rather late to Schubert but this has taken over my life in a sense – by the very nature of the composer’s profundity. When I was a student, I listened to Sviatoslav Richter play all these sonatas in festivals in France and England: it was so inspirational. I’ve done three volumes so far, starting initially with the B flat Sonata and Wanderer Fantasy. I also wanted to put in a few of the Schubert songs arranged by Liszt, so I did that in the 1st and 3rd discs – a kind of homage too. 3. I RECALL YOUR EARLY BRAHMS RECORDINGS FOR RCA. YOUR EXPERIENCE WITH THIS COMPOSER MUST REALLY GO BACK A LONG WAY. DO YOU THINK YOUR INTERPRETATIONS HAVE CHANGED? I think I did only two discs with RCA: the Brahms First Concerto, the Piano Quintet, and some solo pieces. Those were in the late 1980s. I feel differently now, but everyone does as they mature and get more experienced. I first played Brahms when I was a teenager. The very first concerto I played with an orchestra was Beethoven’s 2nd, then came Brahms No. 1. I love this music very much. When people might ask ‘What’s your favorite composer?’, I would always say I didn’t have one – which is true. But if really pushed for an answer, there is a strong possibility I would say it was Brahms. Mozart, Beethoven and Schubert are heavenly for sure, but it is the fragility and direct sensitivity of Brahms that touch me so deeply. 4. HAVING LISTENED TO TWO VOLUMES OF YOUR NEW BRAHMS, ONE THING THAT INTRIGUES ME IS HOW YOU BROKE OUT THE INDIVIDUAL PIECES FROM A GIVEN OPUS, AND PLAYED THEM IN YOUR OWN CHOSEN ORDER. FOR EXAMPLE, YOU PLAY INTERMEZZO OP. 76 NO. 3 JUST BEFORE INTERMEZZO OP. 118 NO.4, THEN FOLLOW WITH A HUNGARIAN DANCE BEFORE RETURNING TO OP. 76, NO. 4. AND SO ON. I knew it’d be somewhat controversial because Brahms wrote all of these opuses as a set. In departing from this, I wanted to create three things: contrast, linkage, and harmonic progression. I thought that it was instructive to put things together rather like a tasting menu. With some of the pieces I put together, you might think ‘That would never go with that.’ But my perspective is that they are all are part of a common narrative and creative inspiration. So, it’s as if you were up in a space shuttle and looking down at Brahms, and you see these recurring patterns in his works: that’s a green lane, that’s a red lane, etc. 5. IT WOULD BE DIFFICULT TO DO THIS WITH MANY COMPOSERS, WOULDN’T IT? Yes, unlike the early, middle, and late periods of Beethoven, Brahms is special since he didn’t really have distinct creative periods in his lifetime; perhaps even his early compositions suggest some of the feeling of ‘late’ Brahms. So it could be the beginning of Op. 7, or 10 or some other mix, it is still a similar type of expression; however, Op. 76 is sufficiently mystical that it could have been written after Op. 119. As Schoenberg said, ‘Even in Brahms’ first works, you could see the end.’ Perhaps the bedrock of it all is the polyphony and the contrapuntal sense, which is so consistent throughout. You couldn’t do this type of mixing with Schubert either, since his early works were simply youthful while his later works were profound. 6. PERHAPS YOUR PERSPECTIVE ON BRAHMS CASTS LIGHT ON ONE FACT I HAVE GLEANED FROM CONCERTS OVER THE LAST DECADE: THAT FEWER AND FEWER YOUNG PIANISTS SEEM TO WANT TO PLAY THIS COMPOSER. SOMEHOW THE MUSIC SEEMS FORBIDDING TO THEM. IS THIS SOMETHING YOU HAVE NOTED? No, you’re actually telling me something new, though I can understand the problem. On a yearly basis, I go to the Dublin Conservatory of Music and the Royal College of Music for single-day masterclasses. I recall recently one young pianist trying out the Brahms Op. 116 pieces. These were relatively new works for him, but he had ample technical equipment and intellect. Yet his problem was how to use his emotions and experience to bring out the score without putting himself above the score. Interpretation is all about using your own emotional insight to turn the electricity on for the music and let it breathe – and, yes, Brahms really requires this grasp. Over the three decades I’ve been doing masterclasses, I admit that I sometimes find young pianists struggling to be emotionally engaged: their emotions are either too raw, or they don’t know how to harvest emotions – they’re not open enough. Then I wonder: is it technology? Is technology interfering in their self-examination and their self-interpretation of what they’re buffeted by in the world? 7. A NUMBER OF MUSIC CRITICS WHO HAVE COVERED THE MAJOR PIANO COMPETITIONS HAVE REMARKED THAT YOUNG PIANISTS HAVE SO MANY ‘PERFECT’ PERFORMANCES TO MIMIC ON YOUTUBE THESE DAYS THAT THEY DON’T HAVE TO DO MUCH THINKING ON THEIR OWN ANYMORE. That’s a very important point: there’s so much available that these young artists can often neglect self-reflection. They don’t go away from their life experiences and influences, and mull: What do I think? Am I really happy? Am I down? They can avoid considering their own feelings because they’re bombarded night and day by this huge information flow that substitutes for real experience. Another factor perhaps is that we have fewer and fewer pedagogues who have connections to the great performing traditions of the past. With my own teachers, Felicitas LeWinter had an historical link right back to Liszt – through her teacher von Sauer; Maria Curcio was a pupil of Schnabel; and Yevgeny Malinin was a most distinguished pianist and teacher from Moscow. These pianists profoundly understood pianistic and musical traditions – a link which is becoming increasingly diluted. 8. YOU ARE PERFORMING RACHMANINOFF’S SECOND CONCERTO FOR US. DO YOU THINK THE SAME DILUTION HAS OCCURRED IN PERFORMING THIS COMPOSER? 9. YOU PREVIOUSLY RECORDED RACH 2 WITH MICHAEL TILSON-THOMAS AND NOS. 1 AND 3 WITH YEVGENY SVETLANOV. IT MUST HAVE BEEN AN EXPERIENCE WORKING WITH THE RUSSIAN CONDUCTOR. Yes, Svetlanov was an absolutely extraordinary conductor and quite the strong character. The first time I worked with him was in the Spivakov Festival in France, and we did Tchaikovsky 1. That was still at the time of the Soviet Union, and the instruments were held up at the border in Luxembourg, so the morning rehearsal didn’t happen. The instruments eventually arrived at 5pm for the 8pm concert. The maestro said, ‘Let’s just play it through.’ We managed to play the first movement and bits of the 2nd and we seemed to think the same way on the piece. But I was nervous; I didn’t really know how it would go. Well, it all turned out very well, and after the concert, he said, ‘I want to record with you.’ Somehow it was like God talking to me. I was just 30-something and all I could think was: ‘I want to record with you too!’ We talked about doing Concertos 1 and 3, and eventually did them. It was total joy. I’ve heard the slow movement of No. 3 done beautifully by many conductors, but Svetlanov had a way of doing it so the strings sounded like a choir singing. They all breathed together like a single person. For me, that is the highlight of the disc. 10. WHICH ORCHESTRA DID YOU RECORD WITH? It was Svetlanov’s own – the USSR State Academic Symphony Orchestra. 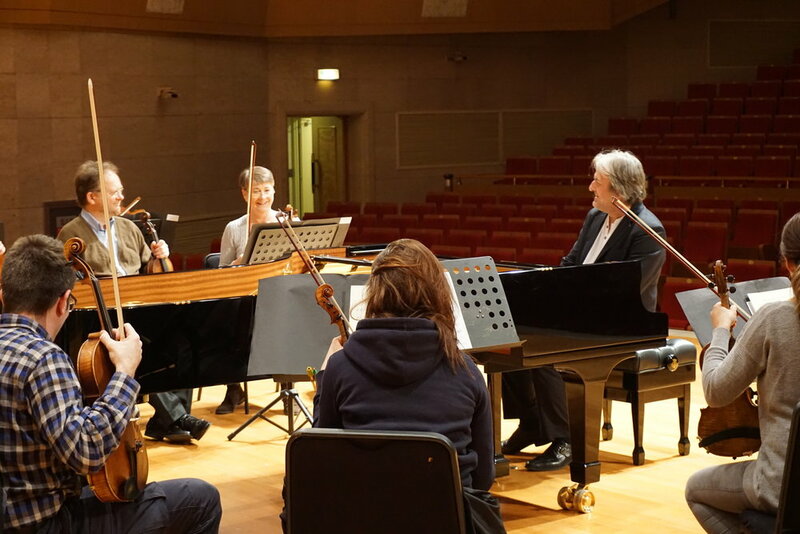 The London Philharmonic’s Vladimir Jurowski is their music director now. I have had an ongoing relationship with them. 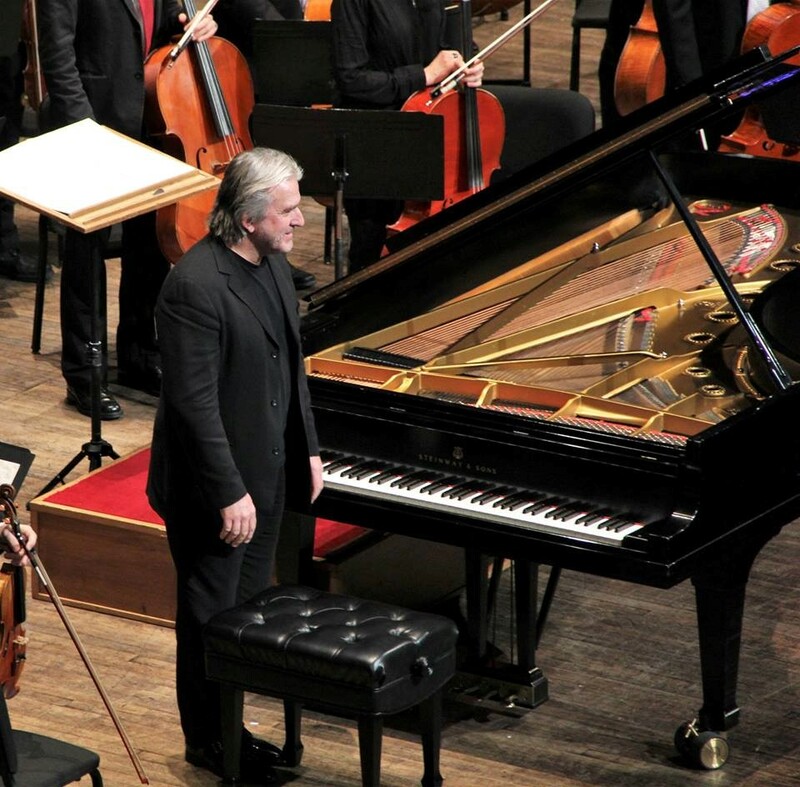 About five years ago and as part of the International Piano Festival in Moscow, they invited me to conduct Rachmaninoff’s Third Concerto in Tchaikovsky Hall with Daniel Trifonov. There is no doubt that conducting this orchestra is like driving a Rolls Royce! I also just opened the season in September 2017 with the orchestra as soloist in the Schumann concerto and it was a real pleasure working with Maestro Lazarev. 11. LET’S MOVE NOW TO YOUR OWN ORCHESTRA. 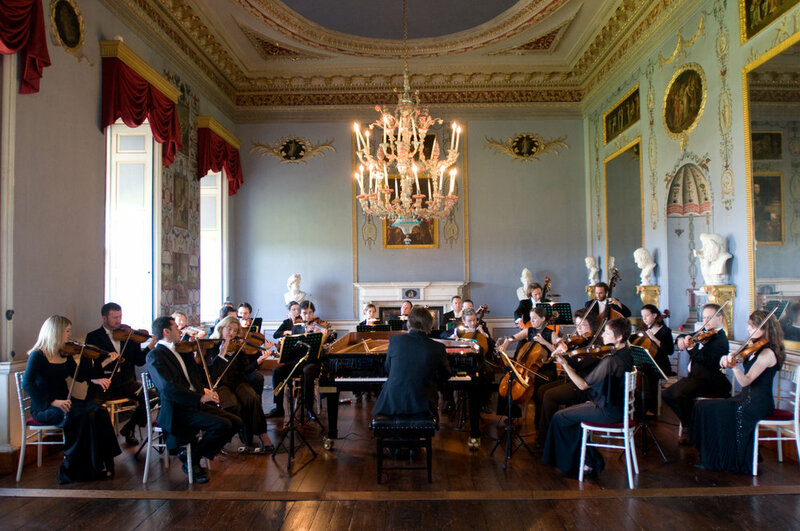 YOU STARTED THE CAMERATA IRELAND IN 1999 AND, ONLY TWO OR THREE YEARS LATER, THE ENSEMBLE WAS RECORDING ALL THE BEETHOVEN SYMPHONIES AND CONCERTOS. I can hardly believe we are approaching our 20th anniversary! At its inception, there were strong reasons for forming this ensemble: when the Irish peace process was finalized in the agreement signed in 1998, I thought we must do something to recognize the event. We should form an orchestra that represents all Ireland, both North and South, particularly including younger Irish artists who are just starting on their careers. Strikingly, we had joint patrons – the Queen and the President of Ireland – and having two heads of state come together had never happened before. The ensemble simply took off: I didn’t plan for it to be a fully-fledged orchestra and I really didn’t expect it to be here now. The design was in principle just for that year, just to say, ‘We artists applaud you politicians, you got something right.’ At the same time, as Ireland is typically known for theatre, U2, rock music, etc. I thought it was a crime that it’s not known for classical music, because the quality of our musicians is second to none. 12. SO THERE IS A REAL MESSAGE HERE? I think we artists have the duty to comment on and persuasively underline significant events, whether they be political or social. The other major objective was to encourage and nurture the careers of young musicians. Normally in Ireland, we tend to be more combative in the arts than we should be whereas the musicians of other countries often support each other. This cooperative ethic is what underlies the orchestra and the Clandeboye Festival in the summer. I want to find the best young talent and help that develop. And I actively look for concert opportunities and for teachers too if they need them. That's my little corner anyway – helping and nurturing young Irish musicians. I think there has been change and it’s getting better. For all the CD’s and the streaming, live music is becoming important again. I think it’s a very exciting time. 13. YOU MUST ALSO SUPPORT IRISH COMPOSERS? We do, and as an orchestra, we commission a lot of young Irish composers and support them. For example, people like Ian Wilson and other fine talent have made it a very exciting and potent creative time! 14. IT ALWAYS INTRIGUES ME HOW EASILY YOU PICKED UP CONDUCTING? It was very easy. I actually conducted orchestras and choirs from a very early age, and it was only when I when I met Felicitas LeWinter at age 16 that she convinced me to play the piano. 15. CHAMBER MUSIC IS A BIG PART OF YOUR FESTIVAL. IS THAT SOMETHING YOU HAVE ALWAYS BEEN INTERESTED IN? I love chamber music, I did a lot in the first part of my career, but I haven’t done that much in recent years. But in my festival in August, I try to participate as much as possible in everything, and that includes a lot of chamber music. I get wonderful guest artists, such as violinist Dmitry Sitkovetsky, cellist Andrés Díaz and violist Nobuko Imai, and we form various ensembles alongside the student quartets. Over the years, I’ve played with some of the finest string quartets – and that is quite a different experience. I’m coming in with my interpretation and they’re coming in with theirs, and we hope we can work it out. It is not automatic that any pianist can play with any quartet. I have toured with the Tokyo Quartet – and that was sublime. Very recently, I have performed with the Pavel Haas and Borodin Quartets. When playing the Brahms Piano Quintet with the latter, I was very flattered because first violinist Rubin Aharonian said to me, ‘We've played this work dozens and dozens of times, but this was the best experience we’ve ever had.’ I have seldom played with an ensemble that has a more wonderful sense of musical pacing and structure. 16. SO, A FINAL ISSUE: AS A TCHAIKOVSKY COMPETITION GOLD MEDALIST, DOES WINNING THAT COMPETITION STILL LIVE WITH YOU EVEN NOW? It was a hugely important moment for me, and such an honour. One thing it has meant that I have so many friends in Moscow and St. Petersburg to this day. They’re so warm, and when I play there, I feel like I'm playing in my hometown. 17. THERE MUST BE AN INCREDIBLE AMOUNT OF PRESSURE CONNECTED WITH WINNING THE TCHAIKOVSKY COMPETITION – AND AFTERWARDS TOO. DO YOU HAVE ANY ADVICE FOR YOUNG WINNERS OF MAJOR COMPETITIONS? Van Cliburn was a friend of mine, and I’m honored to have counted him as one of my very important friends and colleagues. We talked a lot after I won the Tchaikovsky and the important thing he told me, ‘Don’t be swayed by what people want you to do, just go on and do what you want to do.’ I respect those words incredibly. My strong advice to new competition winners is to be artistically resolute and continue to push out creatively. I am grateful to Matthew Baird and the Vancouver Symphony for recording assistance and Kelly Bao for transcription.